I will be honest, winter is my least favorite season. I think winter should only be on Christmas Eve and Christmas Day and then we should move right into spring. Give me snow on those two days and give me sunshine the rest of the year is my desire. However, Mother Nature unfortunately does not bow down to my requests and winter seems to last the longest! As much as I loathe winter, these outdoor winter engagement photos sure did bring some happy sunshine to my soul. I am so excited to share this winter engagement session because not only did we shoot in the snow but this couple is pretty awesome! Brian & Katie are the funnest and sweetest couple ever. We had just had our second snowfall and the snow was still on the ground when we met up in the Ghent area of Norfolk. I am not exaggerating when I say it was FREEZING that day! Poor Brian who is a Georgia boy was so cold! Katie, who is a from the North west is used to the snow and was in her natural element. I even felt her hands at one time and they were warm! Here me and Brian were ridden with frost bite and Katie was warm! She put us to shame as we bundled up in our gloves and hats. Despite the cold, Luke and I had the best time with this cute couple. They decided to have a very small intimate wedding which will take place this weekend at the Magnolia Inn in Hampton. Most couples that get married there we don’t usually do an engagement session. I am glad Brian & Katie did. There is something about freezing together that brings us closer. Snowball fights are the best. Especially in the Neon District of Norfolk. This Arts district is such a unique place to shoot. Usually, in the past we have always shot there in the summer. The place is packed with people and tons of photographers. On this day, we were the only souls to be seen. We had any mural of our choice and there was no awkward waiting for crowds to pass. We decided to warm up some by playing around and throwing some snowballs. See if you can find the snowball below in the pictures! It is definitely hard to see! Outdoor winter engagement photos can be a challenge. We get asked all the time about where we should go and what should we wear. When it comes to getting engagement photos in the winter I suggest to keep it simple. Dress warm and pick a place to have fun. ( Oh and lots of cuddling will take place to stay warm)! Another suggestion is to also pick a place where there is an option to take a break indoors. Lucky for us Cure Coffee House was right around the corner so we were able to warm up with a nice hot latte and have great conversation. Don’t be in a rush when it comes to getting your session done. Enjoy the outing and the experience! Brian & Katie were champs! I love their personalities and we cannot wait to see them here soon! Here we are breaking all the rules… Shooting in full sun! PS…. Did you find the snowball? Comment below and let us know! 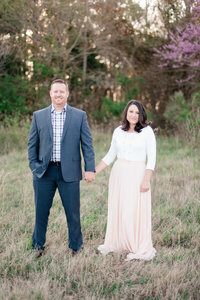 Want more fun engagement sessions? Visit the links below!